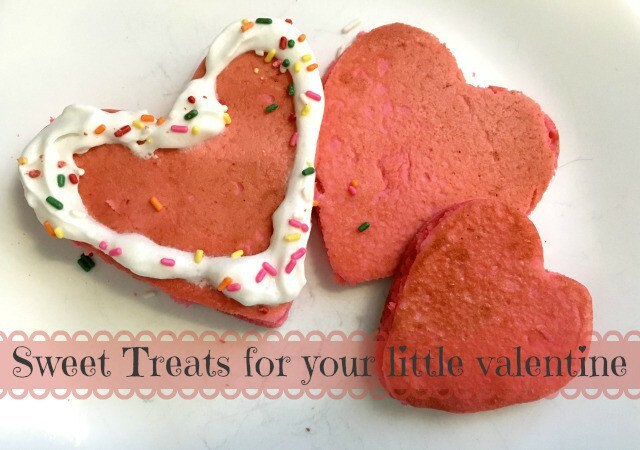 Valentine’s Day is this week and without getting too crazy about the holiday, I wanted to enjoy some simple Valentine gifts for kids because I’ll take any chance I get to tell (or show) my boys I love them. We have a little joke where I ask, “Did you know I love you?” and they roll their eyes and laugh and say, “Yes of course I know! You tell me 500 times a day!” And that is just the way I like it. There are a million ways to tell your family you love them. These goodies may be pink, but they are just as sweet any time of year. If all goes well, we will be on an island this Valentine’s Day so we won’t be making our own pancakes! 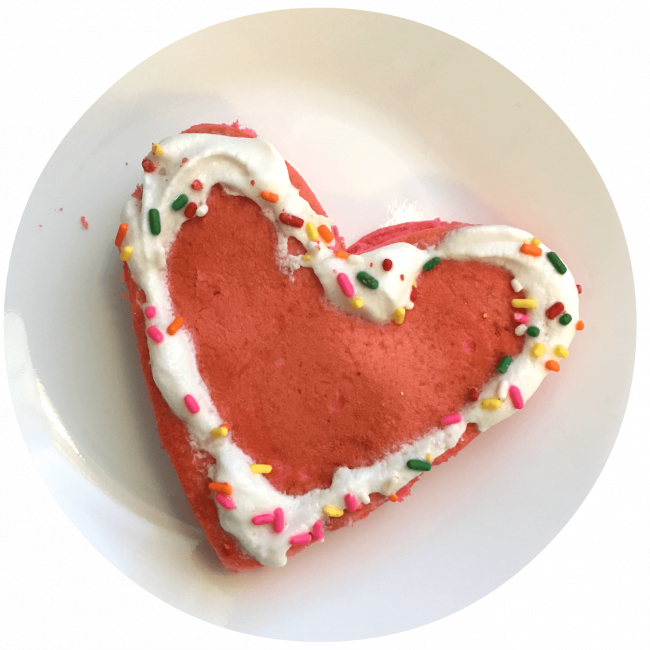 That said, we made these heart-shaped pancakes a couple weeks ago and they were a big hit. 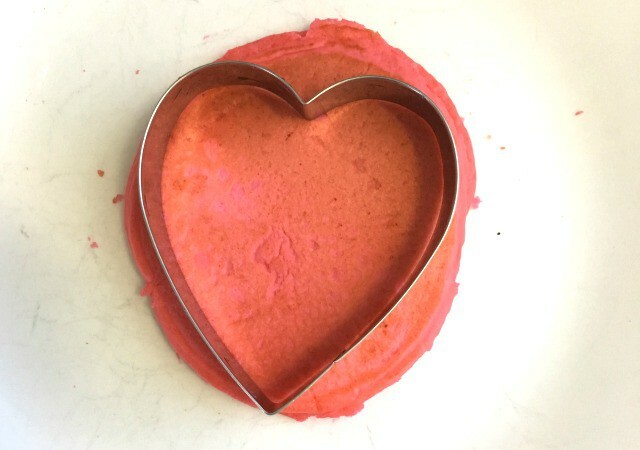 Add a bit of food coloring (gel works best for pancakes) to your pancake batter and use heart-shaped cookie cutterss to cut them out after cooking for a super sweet breakfast! Note: I tried using the cookie cutters as a mold but cutting them out after cooking was 100 times easier. Top with syrup or get fancy with whipped cream, sprinkles or any other topping you like. Yum! Finding these books was another little idea that happened mostly by accident. I had an appointment recently and arrived early so I spent some time browsing at a local bookstore. I’m a sucker for kids’ books and I fell in love with Pete the Cat’s Groovy Guide to Love . It’s not your typical Pete the Cat book. Instead, it’s filled with historical quotes all about love. We’re always talking about ways we can love each other better as a family, so buying this book was inevitable. I decided to grab the Pete the Cat book for Oscar and this cute little Eric Carle book, Love from The Very Hungry Caterpillar, seemed perfect for Calvin. We love that little caterpillar and it’s a great book for working on letters, which is something we are focusing on a lot with our pre-K boy. Books make great valentine gifts for kids because they last all year long! This year we bought character valentines for the kids’ classmates, but I think we will go with my old standby for Teacher valentines. One great thing about teacher gifts is we can reuse the ideas over and over again since each year is a new teacher! 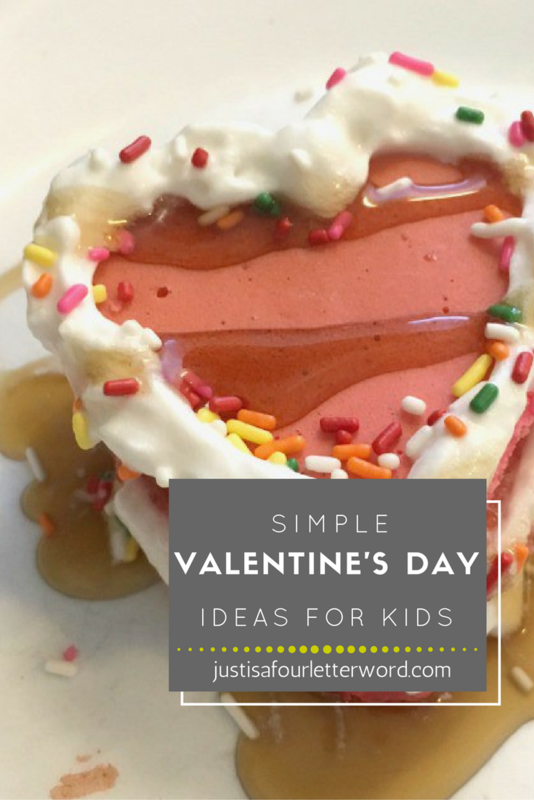 Valentine gifts for kids are fun but you know what they say, it’s better to give than receive! I personally like both. These little thumbprint flowers are personal and easy to make. 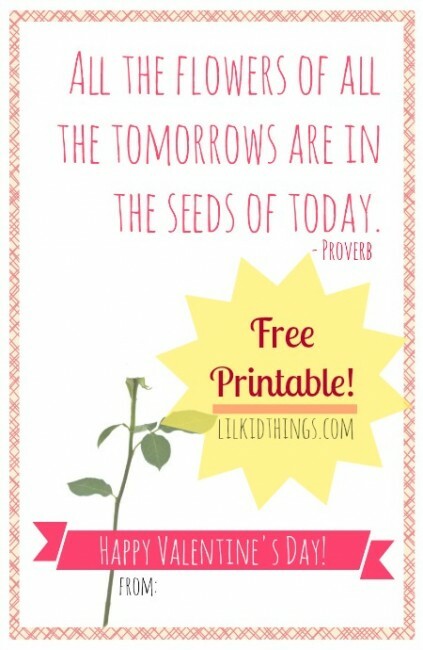 Head over this post for the free printable valentine for teachers or a free foldable option. You can even add some chocolate or a flower to sweeten it up. 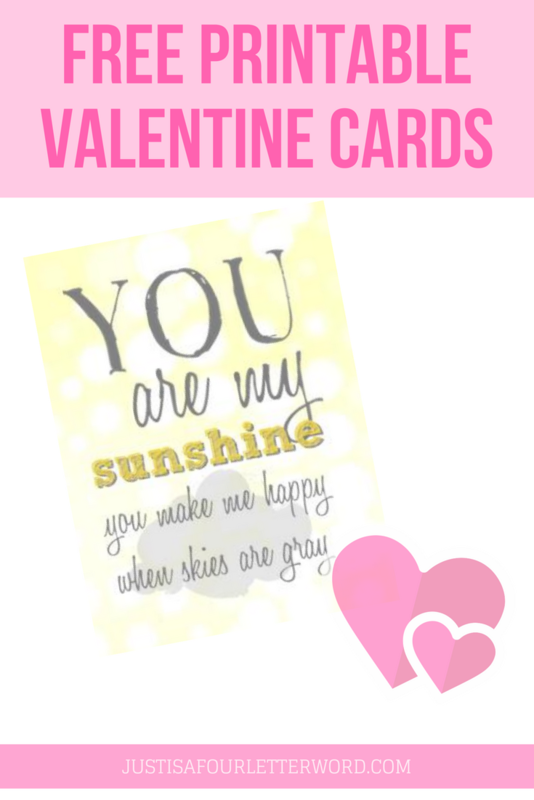 These sweet classroom Valentine cards are simple and fun too! Valentine’s Day doesn’t have to be extravagant to be special. Wishing you a simply sweet family day!